Be the danger in this ride! You've seen the show, now you can get the vehicles! 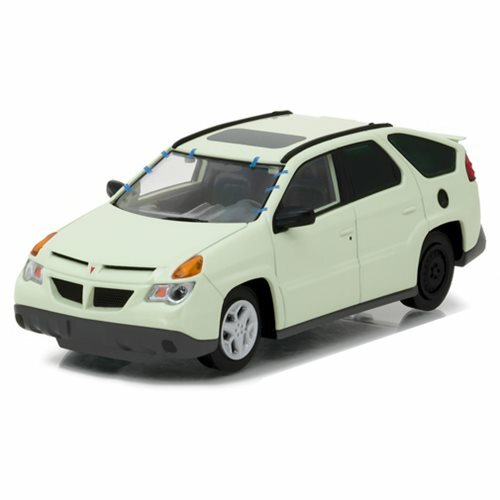 This Breaking Bad Walter White's 2004 Pontiac Aztek 1:43 Scale Die-Cast Metal Vehicle features the iconic vehicle from Breaking Bad, scaled down to 1:43 scale and made out of die-cast metal. Complete with rubber tires and Breaking Bad-themed packaging, this awesome vehicle will be a stand-out amongst your collection!